At the same time as the hardware for SpaceX’s first BFR spaceship is entering the early stages of manufacturing, the company’s South Texas test facility is slowly taking shape after more than 18 months of what can be fairly described as hibernation. The likeliest location for a near-future spaceship test stand or pad has also experienced a comparatively vast influx of construction workers and general activity that began earlier this month September, nearly two and half years after SpaceX began preparing the unstable coastal wetland with the addition of several hundred tons of soil. It may not look like much, but ~5 contractors and a few pieces of heavy machinery truly is an explosion of SpaceX activity in South Texas. The hill in the background is the soil surcharging mound. (Maria Pointer, 09/19/2018)According to a number of posts from local Texans that are also members of a small SpaceX fan group on Facebook, activity around the company’s Boca Chica, Texas facilities has exploded in recent months, and even more so over the last several weeks. SpaceX’s ground tracking facility has harbored the vast majority of attention for some time, particularly following the relatively recent arrival of a massive crane, construction of a shelter for said crane, and the appearance of two massive vacuum-insulated tanks for liquid oxygen (LOX) and liquid methane/natural gas (LNG). Presently sat beside two large antennae on the Crew Dragon tracking facility’s plot, those propellant tanks are certainly both eye-catching and definitive evidence that something huge and nearby will soon need large quantities of liquid propellant. In the case of the LOX tank, a back-the-envelope estimate suggests that it can hold an obscene 400 metric tons (~900,000 lbs) of liquid oxygen, while the much smaller LNG tank (assumed, not guaranteed) would be capable of holding less than 25,000 kg of liquid methane, thanks mainly to the fact that liquid methane is roughly three times less dense than LOX. Most notably, as described above, is the abrupt return of construction and site preparation activities at what once was expected to be a Falcon 9 and Heavy launch pad. Over the last 24+ months, SpaceX has simply let the lot sit, although in this case, that sitting was rather productive. Known as soil surcharging, the site was essentially leveled, loaded with hundreds of tons of soil, plumbed with drainage pipes, and then left alone up to this point to let gravity do the rest of the work. Put simply, the unsteady soil of coastal Texas was aggressively drained and compacted into something stable enough to build expensive, long-term facilities on. The hundreds of truckloads it took to bring in the soil will have to be repeated in reverse, removing most of the same soil to leave a level field ready for foundation-laying and series construction. Heavy machinery and construction contractors began arriving earlier this month, indicating that that process is about to begin, after which construction of the facilities that will eventually support Grasshopper-style spaceship testing can begin in earnest. 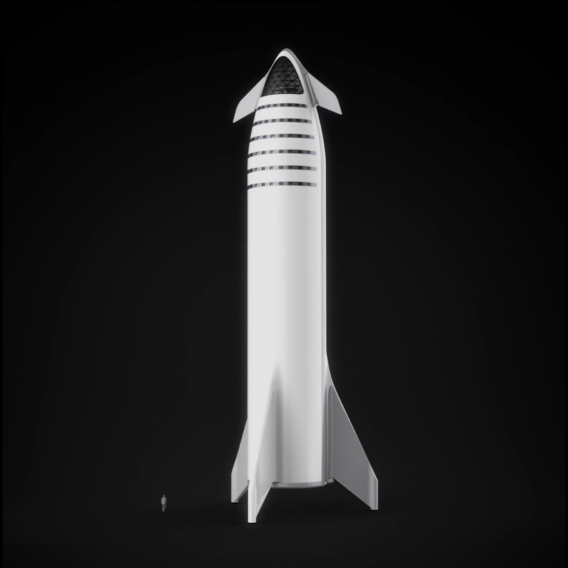 Those BFR hop tests are scheduled to begin no earlier than late 2019.